Finger tip injuries normally distort finger and nailbed shape. Here’s a way to restore them. The idea is based around adaptability of our body, which is often abused by savage practices like chinese foot and lip stretching. You will need a plumber’s ring hose clamp with hand butterfly wing screw. Use a healthy finger as mold to twist the metal to the desired shape. Help yourself with a pair of pliers. 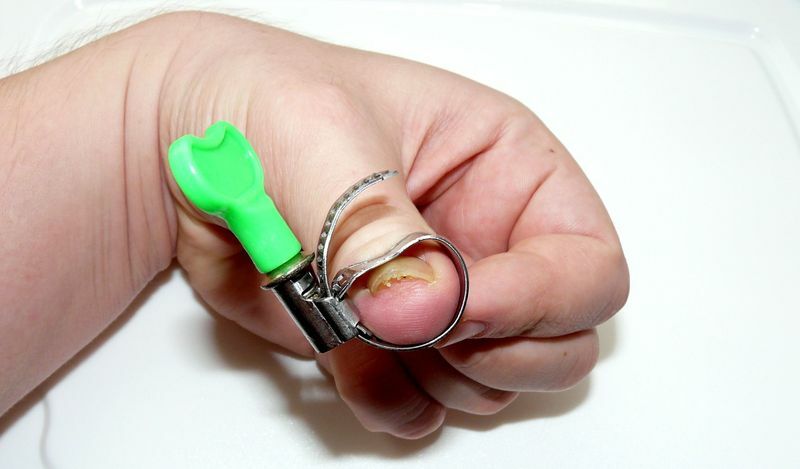 Now put this on your distorted finger and screw tight to apply pressure in the needed location. The reshape process will take a lot of time. Microsurgeons use similar devices and the patients have to wear them for at least 4 months. Don’t overdo it though, as tight clamp may prevent blood from coming to the finger tip. So ear it for about 40 minutes, then take a 20 minute break, and never put the clamp on when going to bed.